“REAL LIVE,” a known DC phrase to communicate the whole truth, the feel/vibe, a lituation, of any given circumstance or situation. “REAL LIVE” a jam will encompass the necessity of authenticity and high vibrations allowing for creative freedom, encourage skill, and risk taking. 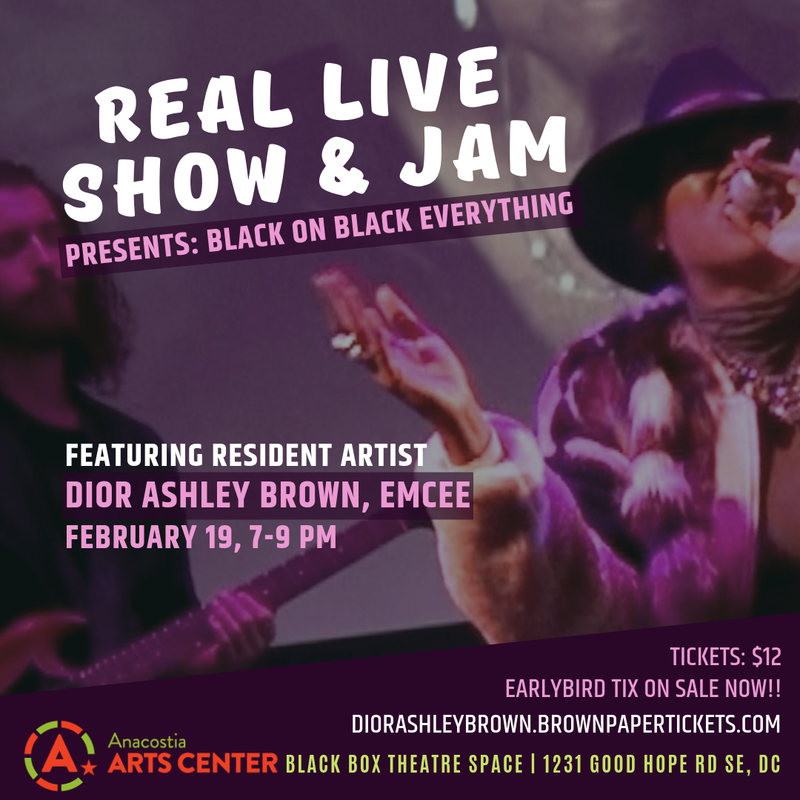 Real live is a live show and improvised open jam that will be open to the public once a month on every 3rd Tuesday at Anacostia Arts Center in Southeast DC, Hosted by Dior Ashley Brown EMCEE featuring her band, DMV pro musicians and beyond! This platform will connect high skill level musicians/artists and those who are inspired in the community to have an open and uplifting sharing experience. Here Creatives, Working Professionals, DMV residents co- create, and inspire one another. Creators and appreciators of Art will have a chance at a high vibrational experience as well as learn how to advance their crafts and senses to passionately curated art.